There is not a whole lot of information about this power quartet from Buenos Aires, but Beware of Yarara could be their debut album, and a killer one at that! 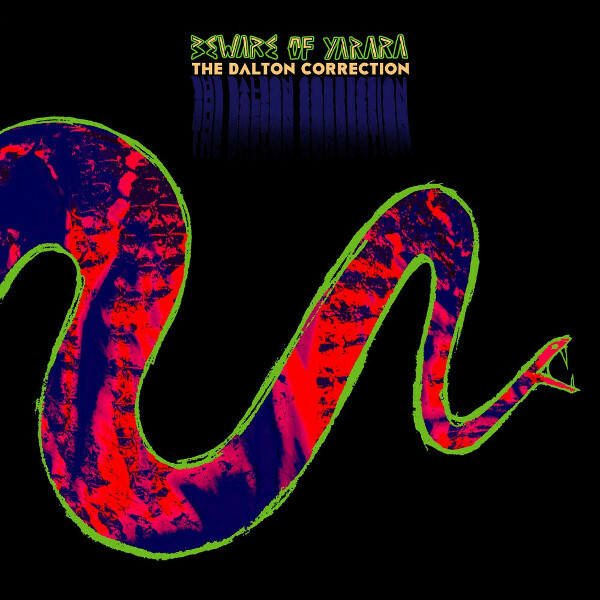 Like the Ramones, everyone in the band and most of those associated with the album is a Dalton: Al Dalton (acoustic and electric guitars and vocals), Ernie Dalton (guitars and vocals), Gus Dalton (drums, percussion, organ, and backing vocals), and Marc Dalton (bass, guitars, and backing vocals), plus the album was recorded, mixed, and pre-mastered by Klaus Dalton, with post-production by Ron Dalton, production assistance by Mars Dalton, most of the songs written by Rev Dalton, and special thanks, among others, to Salty George Dalton and Bar Dalton. The music across the nine tracks is mostly instrumental with occasional lyrics, odd words, and vocal sounds. There is a definite Krautrock / psych / garage / blues rock vibe running throughout the album with guitars playing a major role. Each track is different, demonstrating the versatility of the band in what could easily be a narrow genre. Some tracks that stood out for me are “Vertiginosa” that starts out sounding like a Cosmic Courier track with reverbed and sawed guitars that morphs into a psyched-out guitar jam, “El Parque” that mixes blues rock and proto-punk with some conga drums, the cosmically trippy “Venganza” sounding like the Japanese acid psych band Marble Sheep, and the pseudo love ballad “Jacqueline” that moves from a reverbed solo guitar to dissonant chords to a folky country dance number ala Johnny Cash on acid and then back again. Now their band photo has the Dalton gang staring at the camera, except for Gus the drummer, which makes you wonder if they were self-medicating before the photo shoot. But don’t let that put you off, the music is great and like their press kit states, beware of the venomous South American pit viper yarara, it is near your ears and it might be dangerous to your health and wellbeing!